Growing up I've always dreamt of having one boy & one girl... Not knowing eventually later on in life I would be blessed with Twins. I still remember vividly the day when the both of you were born. 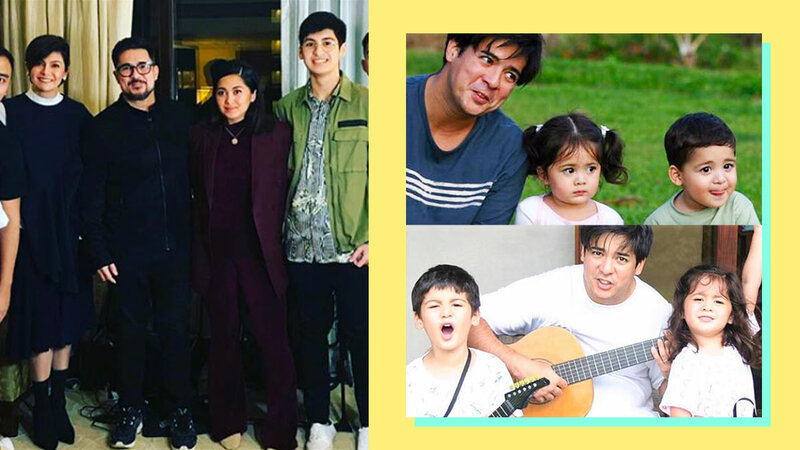 @atashamuhlach_ & @aagupy, you have brought & continue to give so much happiness, joy & love into our lives!! Totoo pala.. when they say.. no matter how old your children become, they will always feel like they’re your babies & the parents' unconditional love for their children will be there forever!! As the both of you turn 17 today.. (I can't believe how time has passed so fast!!) know that your Dad & Mom love you, so so so much & wholeheartedly. We will always be here for the both of you, no matter what!! Atasha & Andres, you make us proud as your parents!!! & more importantly, your kind hearts is what I truly admire in the both of you!! Your dad and I are so happy that God has blessed us with wonderful & god fearing children like you..& through the years as parents, we continue to try our best, to give you wings to fly & now that both of you are ready 17.. you are ready to fly!!! We are truly excited to see what life has in store for the both of you. Your Dad & I will be your biggest supporters & cheerleaders in life.. Happy 17th birthday my loves.. We love you so much Ate & Kuya!! & again, know in your hearts that your Mom and dad will be here for you, forever..."